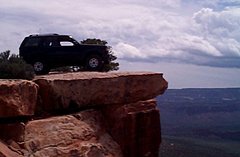 The most important part about a 4x4 conversion is having all of the parts you need to do the conversion. This conversion is for '91-'94 Explorers with manual transmissions. Complete front axle assembly with gears to match your rear ratio. First Thing I did was do about a year and a half of research. The good thing is I am writing this out for anyone who is crazy as I was to do this. I started by buying the parts I knew I would need. Prior to the conversion I had the rivets cut out of the rear I-beam drop brackets to make the job go easier. The rivets were replaced with bolts which I could easily remove. I also replaced the speedometer cable at this time. It is a good Idea to have two people work on this conversion. Place car on Jack stands. I placed the Explorer on four Jack stands two at the rear end and two at the radius arm cross member. 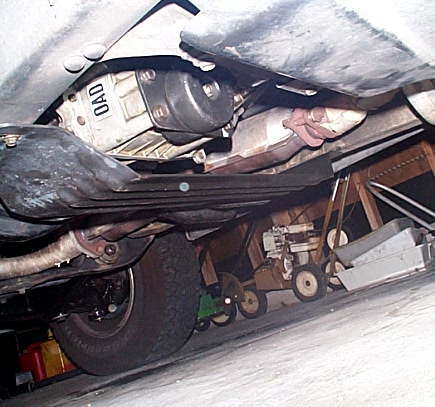 Remove the interior shifter, Y-pipe, catalytic converter, drive shaft, starter, and transmission cross member. 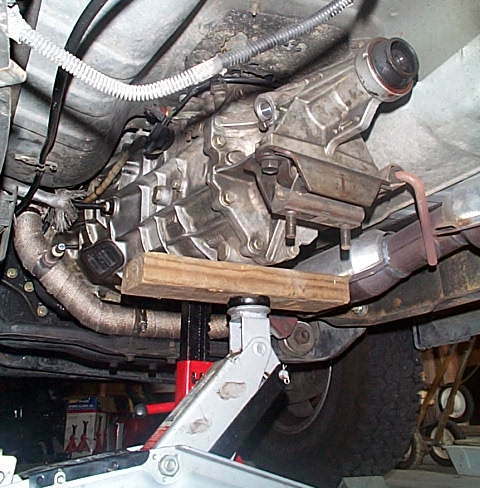 Support the engine and disconnect all wiring to the transmission. 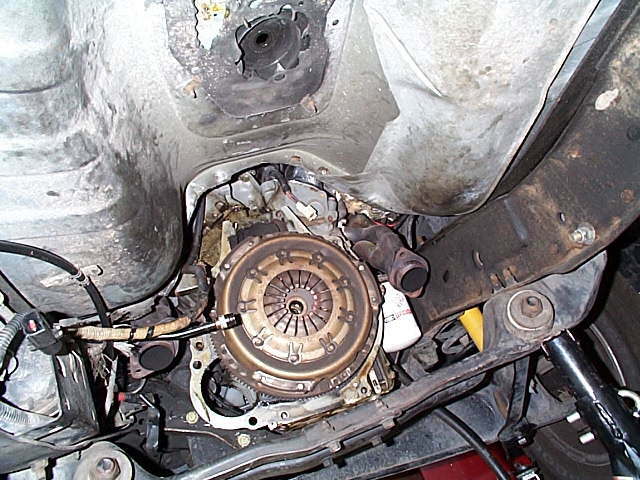 Remove the bellhousing bolts then remove the transmission from the car. At this point the trans work was beyond my knowledge. I Took the transmission, 4x4 output shaft, and the 4x4 tail shaft to a Ford transmission tech who installed the new components. While the transmission was getting its new output shaft I started work on the front end. 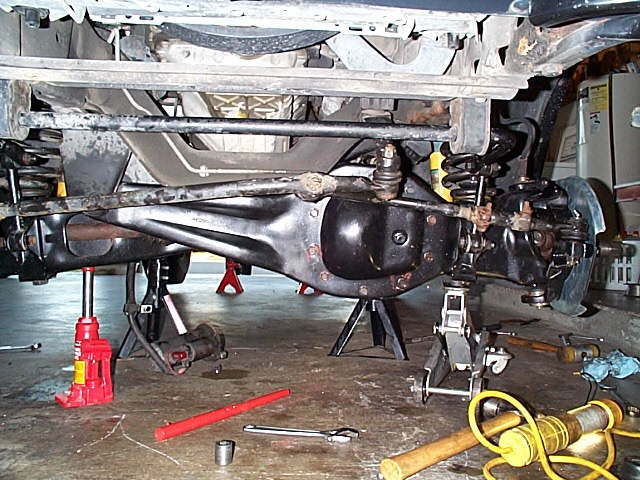 Remove the steering linkages, springs, and radius arm bolts. Then disconnect the shocks. 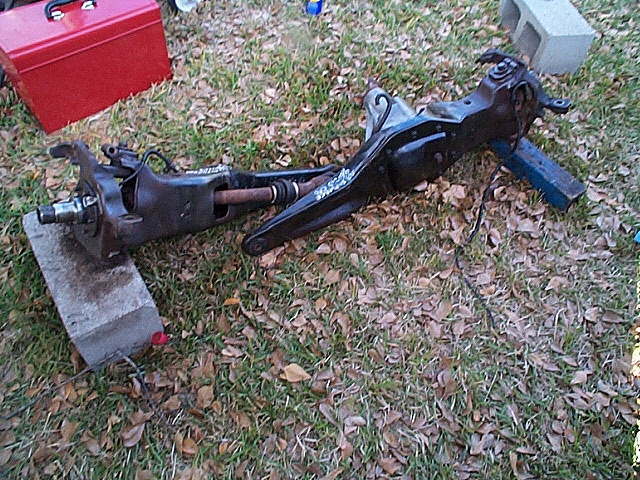 Remove the I-beam bolts and removed the front axle assembly. After they were removed the rear I-beam drop bracket must be changed out. On the 2wd it is on the inside of the engine cross member on the 4x4 it is on the outside. Change out the drivers side I-beam bumper. Attach the passenger side 4x4 I-beam, and then the driver side. Reassemble in the same order as the removal of the 2wd. You will need new rotors, but not new calipers. New pads are optional. Install the manual Locking hubs. Put the wheels back on. Note: most wheels will need new center caps. In my case I removed them completely. While waiting for the transmission to be finished or your father to get off of work to help. Install the new transmission hump plate and cut the carpet for the transfer case shifter. Next I reinstalled the transmission. I put it back together as it came out. Replace cross member, starter, new drive shaft, cat, and Y-pipe. 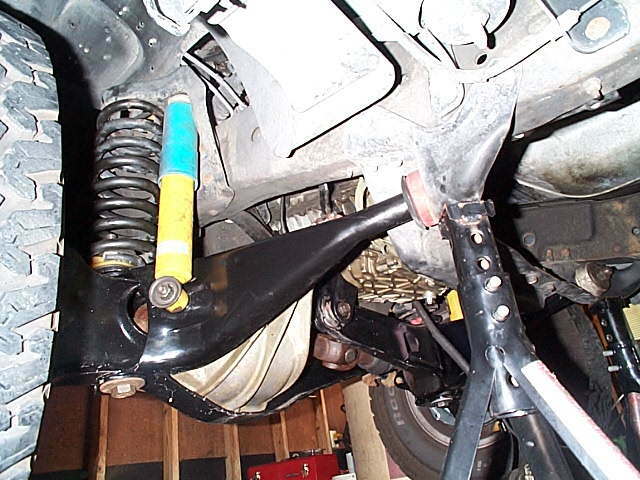 Bolt up the transfer case, connect wiring, install front drive shaft. Install new shifter. When your finished with the reassembly go to an alignment shop and get the front end aligned. For any one that is interested in this. Think twice this is not an easy project. The major flaw with this is the cost of parts (not Labor) I spent about $1500 in parts alone. I got good deals too. Figure it will take 5 to 8 months gather all of the pieces.